And everyone present was filled with the Holy Spirit and began speaking in other languages,  as the Holy Spirit gave them this ability. A little further on in this chapter (verse 15) Simon/Peter addresses a crowd & states that it is 9am in the morning. So this scene must be a few minutes before that. 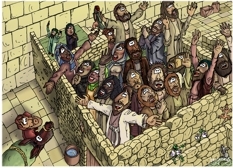 All of the Apostles are present in this scene, as are several un-named disciples, seen in the previous cartoon illustration. According to my internet research, Pentecost (called The Feast of Weeks, or Shavuot, in the Jewish language) is celebrated in late May. 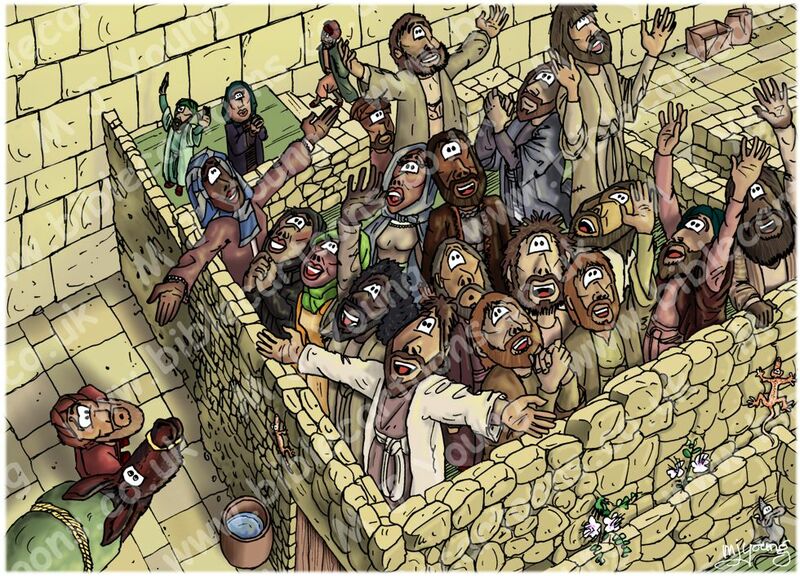 The plant growing out of the wall to the lower right of the illustration is a Caper bush (Capparis spinosa) which is a plant that grows on the West (Wailing) Wall in Jerusalem, Israel today. 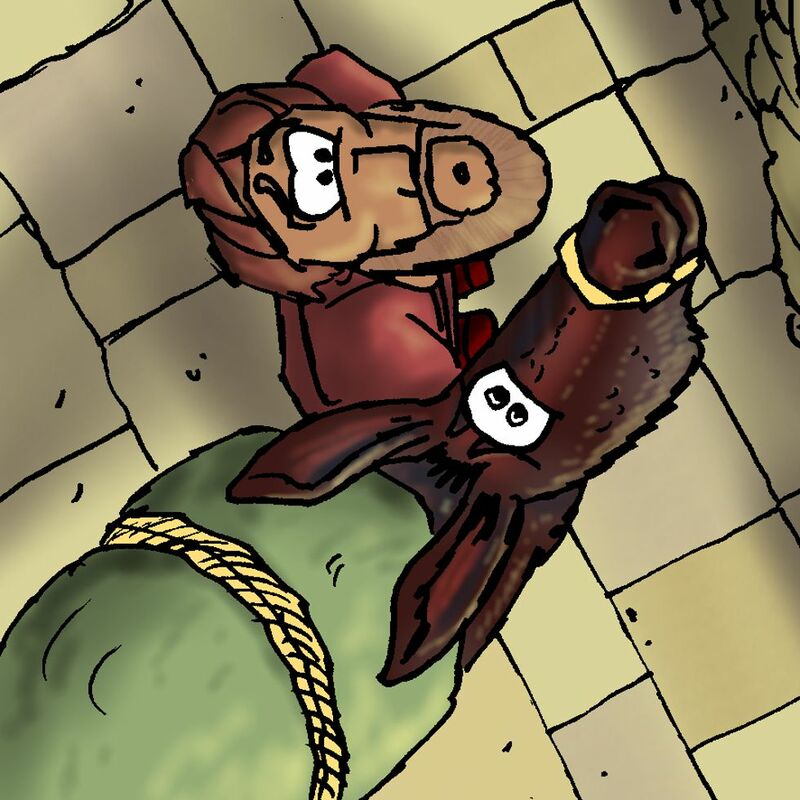 Close-up of man and donkey. 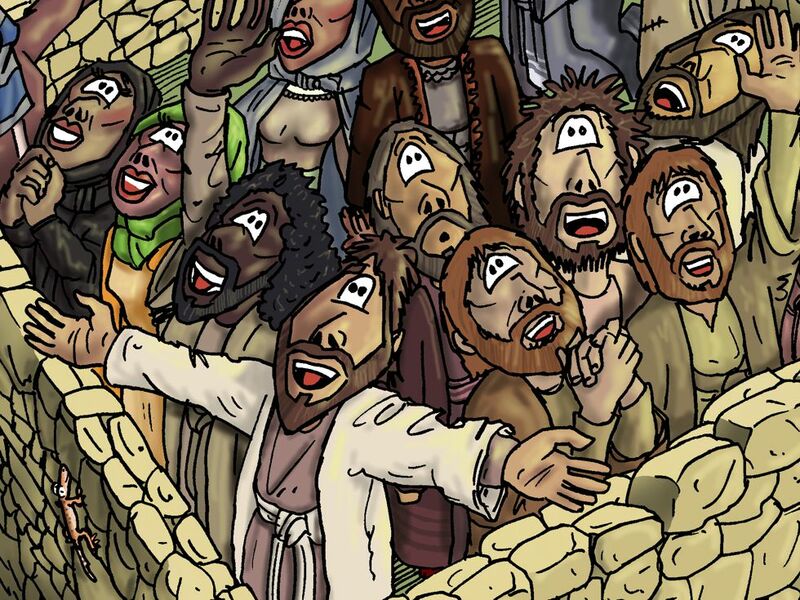 Close-up of Apostles on roof.